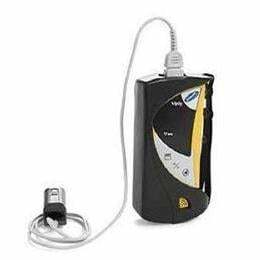 Ergonomically designed, the Invacare Printing Pulse Oximeter provides fast, reliable spot-check information and documentation of SpO2 and pulse rate. It is ideal for all patients from neonate to adult. Audible pulse indicator which varies in pulse by saturation level Four "AA" cell batteries provide power for 1,500 spot-checks Integrated printer for convenient documentation Storage for up to 99 patient SpO2 and pulse readings.